The Journey (Al-Rihla), a film by Iraqi director Mohamed Al-Daradji, will be screened at the Netherlands-Flemish Institute in Cairo on 16 September. Set in Baghdad in 2006, the film looks at two radically opposite viewpoints on politics and society in Iraq. 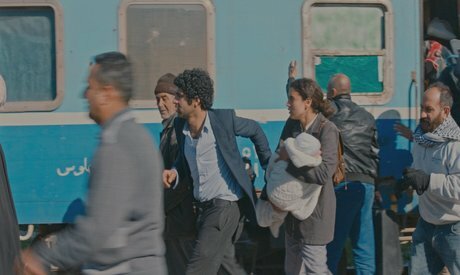 When Sara and Salam encounter each other in the Baghdad train station, each with very different intentions, they are forced to examine their beliefs and prejudices over the course of a day. The 2017 film is a joint production between Iraq, UK, France, Qatar, and the Netherlands. Al-Daradji is an award winning Iraqi-Dutch director and producer. His 2009 film Son of Babylon won the Best Screenplay award at the Cairo International Film festival, the Peace Film Award and the Amnesty International Film Prize at Berlinale, and the Rotterdam Award at the Rotterdam Film festival, among others. His other notable award-winning films include Dreams (2006) and In the Sands of Babylon (2013).